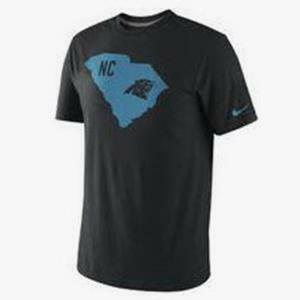 Nike recalls Carolina Panthers shirt incorrectly labeling South Carolina as North Carolina. (The Panthers play in Charlotte.) Full story. Chelsea Handler lobs a softball to Noel Fielding, co-star of the British TV show The Mighty Boosh. By the end of the fail decade, belief among Americans in the basic, scientific consensus on climate change was plummeting. A comprehensive Pew poll on the issue released in October 2009 found that only 57 percent of people thought there was evidence of warming, down from 71 percent the previous year. The number of people who thought climate change was a serious problem was down to just 35 percent. http://www.geographicsociety.org/wp-content/uploads/2014/08/logo-300x98.png 0 0 The Geographic Society of Chicago http://www.geographicsociety.org/wp-content/uploads/2014/08/logo-300x98.png The Geographic Society of Chicago2013-07-03 18:54:152013-07-03 18:54:15Chris Hayes on Climate Change and "The Crisis of Authority"